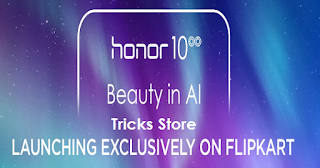 Honor 10 Sale, New Honor 10 Smartphone, Honor honor 10, Huawei Honor 10 Specification and Flipkart Sale Date – Hello guys, the new flagship on a budget smartphone is here the Honor 10 is going to announced in india on Flipkart Honor 10 sale exclusive. We already blessed with honor’s last launched in budget smartphones like Honor 9 lite & Honor 7x. 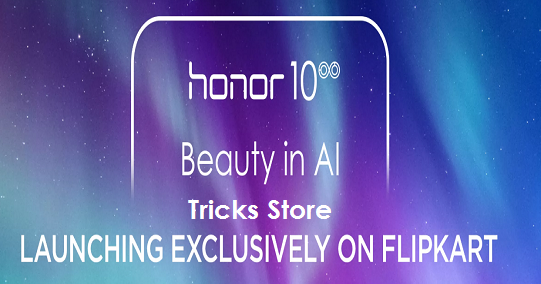 Now honor honor come up with it’s new flangship honor 10 which will be avalable on flipkart flash sale on 16th may 2018. 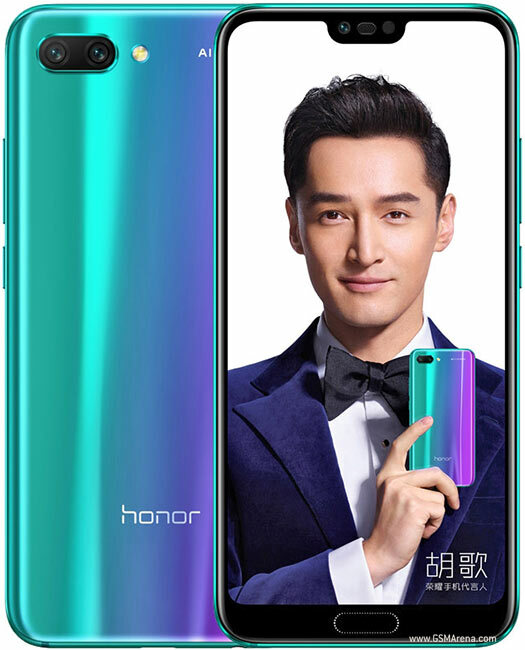 Honor 10 has a shiny mirrored glass back made up of 15 different layers, The Display comes in at 149.6 x 71.2 x 7.7mm in size and 153g in weight, roughly the same size as the Huawei P20 Phone. In this phone there’s a slim strip of bezel below the screen, contains fingerprint scanner, and a notch at the top, but phone is not water resistance. – The Honor 10 in has dual-lens camera on the back, built up of 16MP f/1.8 color lens and a 24MP monochrome one. And based on AI, like the Huawei P20, which will help you to optimize the settings to take pictures of. 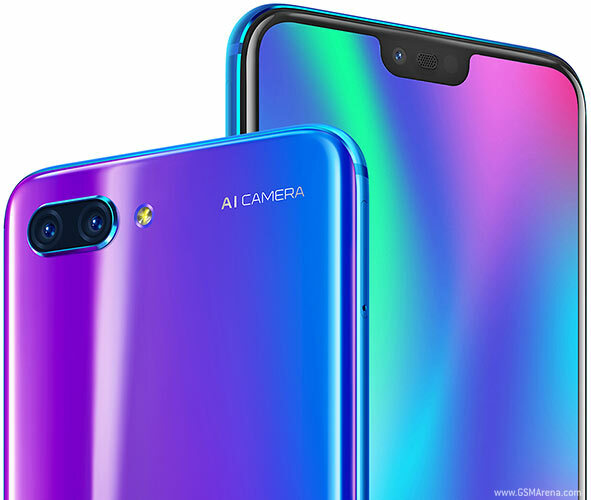 – The honor 10 can shoot 2160p video at 30fps and it has a 24MP front-facing camera for selfie lovers additionally it has a face unlock feature. – Honor 10 powered with 3,400mAh battery & also supports fast charging but can’t support wireless charging. The Honor 10 is packed with an octa-core Kirin 970 chipset and available on two variant, either 4GB or 6GB of RAM likely with 64GB or 128GB of storage. The Honor 10 doesn’t have microSD card slot, so hope you go for 128GB model for better experience. If we are talking about operating system, Honor 10 has Android 8 Oreo, so it’s up to date there. May be horon will give further updates on it.